Hurricane Ingrid, the second major storm of the hurricane season, has been steadily gathering strength in the Gulf of Mexico. Most of people who have been evacuated are staying in official shelters while the remainder has sought refuge with friends and families. In particular, the southern state of Chiapas and the eastern state of Veracruz have been affected. Officials say that two of Mexico’s three major oil-exporting ports are closed, although most of the country’s Gulf Coast ports including Veracruz remained open on Saturday as the storm approached. Ingrid is expected to deposit between 10in and 25in of rain over a large part of eastern Mexico, which will cause rivers to overflow and create flash floods and mudslides. The hurricane could also cause a storm surge that would raise waters by 2ft-4ft above normal tide levels near where it makes landfall. Earlier this week, 13 people were killed in Veracruz when their homes were buried under a landslide caused by heavy rains. On the other side of the country, it is a similar story in the Pacific states of Oaxaca, Guerrero and Chihuahua to the north. 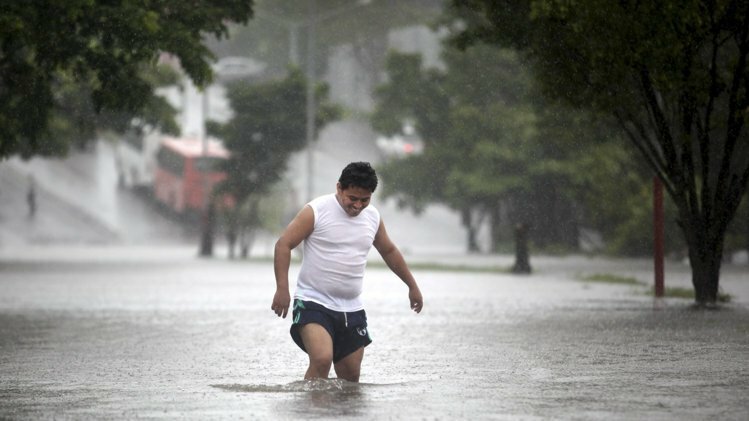 They have been hit by Tropical Storm Manuel and an estimated 23in of rain is expected to be dumped in the region in just three days, almost twice the monthly rainfall. The authorities fear that such massive amounts could cause further flash flooding and mudslides over what is traditionally a weekend of celebration for Mexico’s Independence Day.